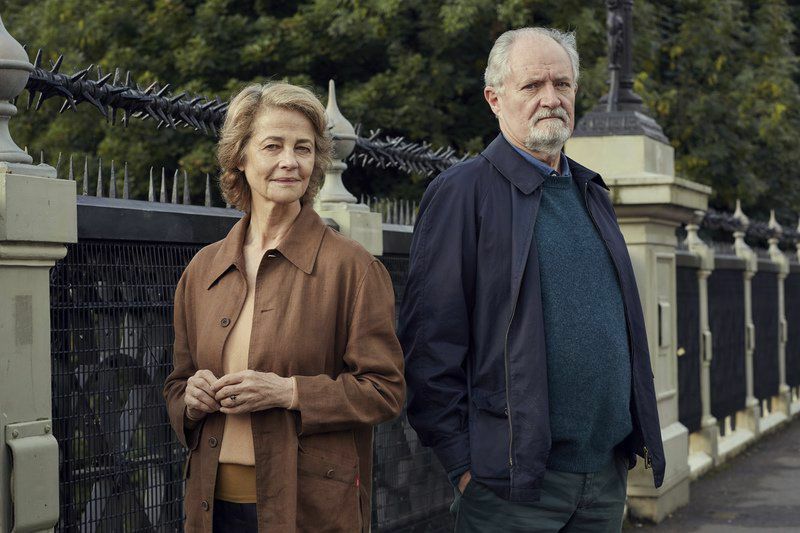 The Sense of an Ending asks us to re-think – among many things – the way we treat one another. And how did the London-based production treat its Indian director Ritesh Batra? Filmed across London’s Lambeth, Southwark, Islington, Camden and Haringey in August and September 2015, take a look at the trailer here. The film opens in the UK on March 24th. Critical scenes were filmed in Lambeth where Jim Broadbent as the main character Tony lives. At one point, he is struck in a traffic jam along Newburn Street. Reversing and heading up Orsett Street, he finds a woman driving the wrong way down the one way street, so Tony mounts the pavement to get past her. The production made a donation by way of thanks to the local Vauxhall Gardens Estate Residents and Tenants Association which represents 3,000 residents across the 1,500 properties in the area. Shoots including the latest Bond film Spectre and this year’s Sherlock series are just a couple more big shoots to have made donations after filming on or around the estate. Jean adds: “The association is always interested in the content. Generally, residents don’t like scripts that involve shooting or drugs, although that doesn’t mean residents would always say no. They’re just thinking of the affect that script might have on people who live here. Some irresponsible film makers can create a bad impression of the estate that doesn’t reflect who we really are and what we are really like. “The association is also interested in where and how long, as well as the hours a production is planning to film because we need to manage disruption. It’s not ideal if a shoot is going to be making a lot of noise or have bright lights up very late at night during the week. Children need a good sleep before school the next day and people need to be fresh for work. So residents will ask for specific terms and conditions if need be to protect them. Also in Lambeth, as the trailer shows, Tony’s home is on Sibella Road, he eats his lunch on a park bench in Clapham Common and walks to work along The Pavement and around the old town. Shad Thames Tenants and Residents Association in Southwark also received a kind donation, after hosting filming nearby in the former Tower Bridge Magistrates Court on Tooley Street. And Charlotte Rampling as Veronica crosses Millennium Bridge in Southwark. Tony follows Veronica around Haringey, on Hornsey Lane Bridge and North Road. On Cromwell Avenue, Veronica sees Tony and gives him a card. Also there, Tony waits in his car for Veronica and leaves a note. He also waits for Veronica in his car outside Highgate Station, before following her. Some interior scenes were shot in the pub The Wrestlers on North Road. The production also filmed on Hornsey Lane by Fitzwarren Gardens, there are interior scenes in Crouch End Kitchen, and a double decker bus scene driving along Great North Road. In Camden, Harrington and Squires on Fortress Road plays Tony’s shop, where he mends and sells vintage cameras. The school scenes of the past were filmed in Hampstead’s University College School. Brookfield Church Hall on York Rise hosted interior filming. And in Islington, the charming period features of Manzes Pie and Mash shop are featured. FilmFixer manages the film office service for Lambeth, Southwark, Haringey, Camden and Islington Councils. FilmFixer director Andrew Pavord said, “This wasn’t an especially big-budget feature, cast and crew were usually around 35 or 40 on location. The production managed to book many locations without causing any negative impact.